large light room in copenhagens center. 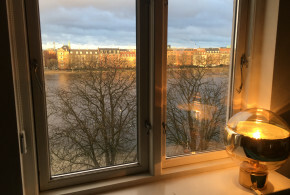 The room is 20square meters and is situated in a 130 square meter apartment in copenhagens center next to the lakes. There are lake views in the apartment which is filled with natural light. 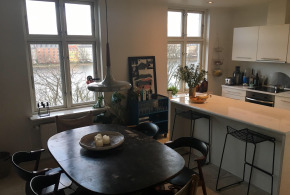 The apartment is shared with 2 girls both with full time jobs in there 30´s. There is a cleaning lady that comes once a week and this and all bills are included in the 6500kr a month. There is a washing machine and clothes dryer as well as dishwasher.